Click the Items tab and click either Add Product or Add Service, depending on your need. A new window opens. 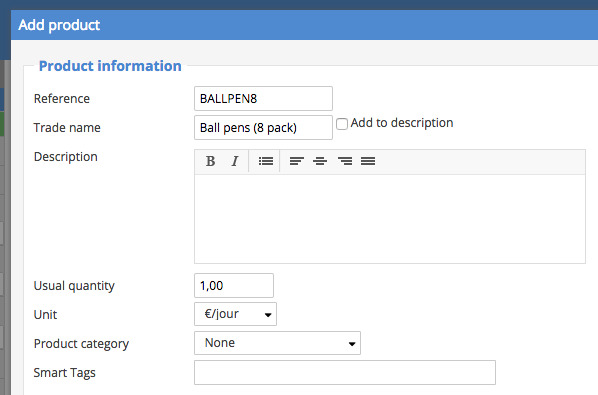 Simply fill in the fields for the product or service you wish to add. Click Save to return to the overall items list. You can immediately add another product or service by clicking Save and add.